Lowest priced 5 bedroom pool home in western Port St. Lucie by $45, 000!!! 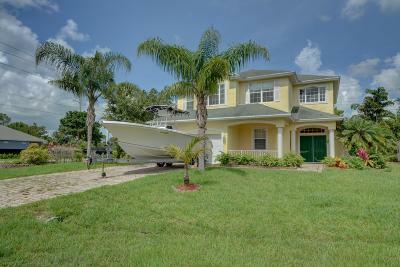 Very rare 5 bedroom, 2.5 bath CBS pool home on an oversized corner lot located on a cul de sac. Spacious open floor plan with a huge eat in kitchen with granite, center island and breakfast bar. Large master suite with oversized walk in closet with built ins and luxurious bath with roman tub and separate shower. Sliders from the living room leads to the screened porch overlooking the pool and spa, plus a newer shed for extra storage. Brick paver driveway, walkway and small front porch leads way into the house.